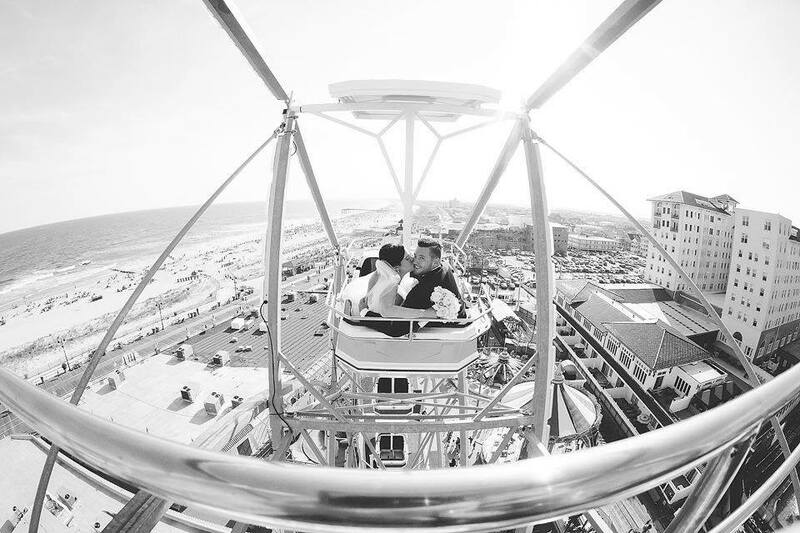 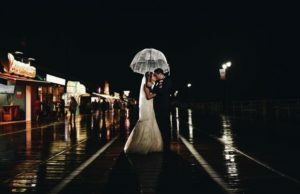 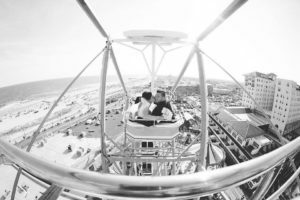 Located steps from the beach and boardwalk sits the most prominent Ocean City, New Jersey and Jersey Shore wedding destination. 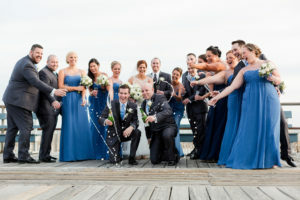 The Flanders Hotel, Banquet, and Conference Center, is Ocean City, New Jersey’s most elegant beach wedding venue. 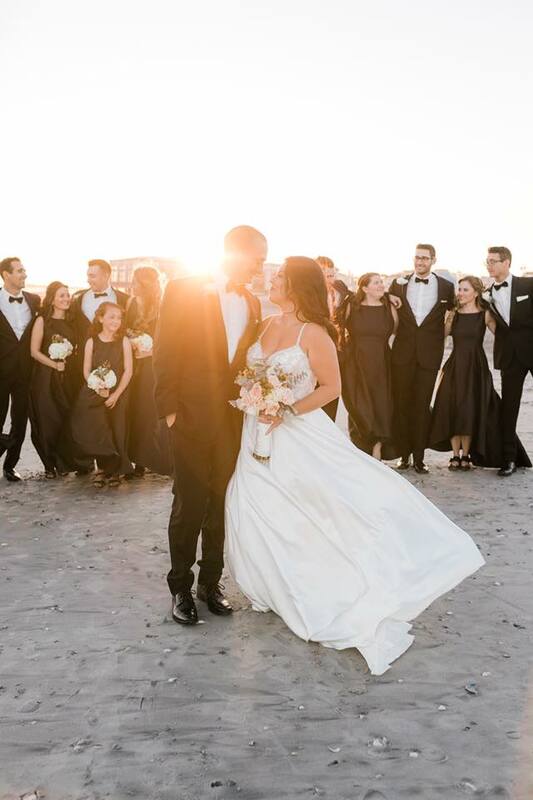 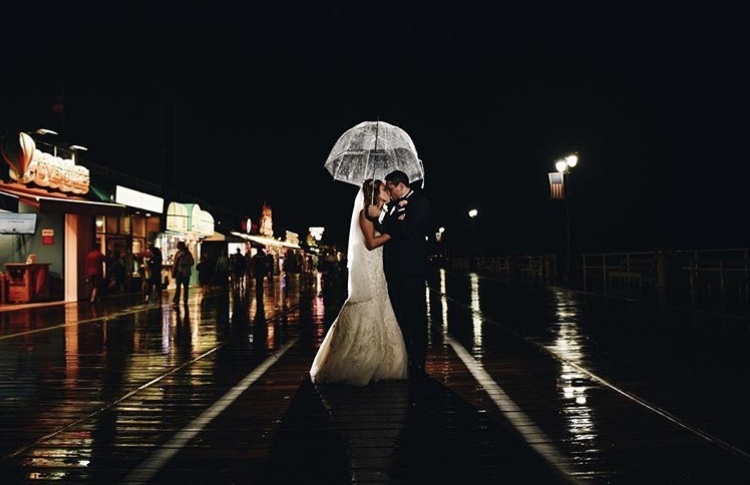 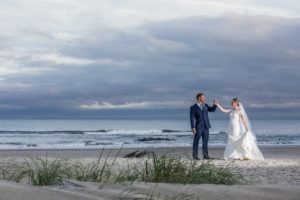 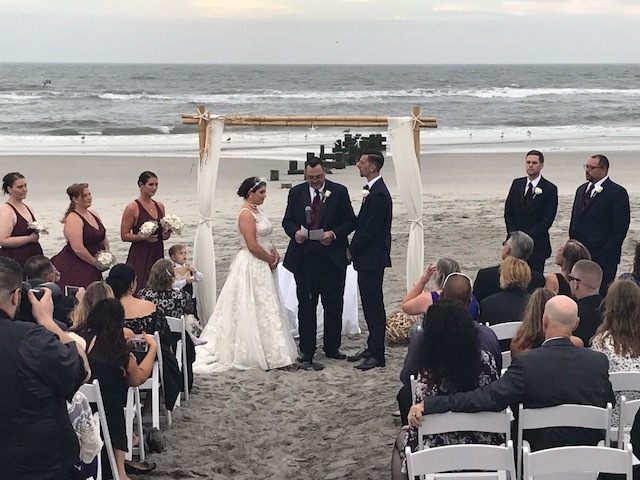 Imagine your beach wedding ceremony with the waves crashing on the sand in front of you and the lights of the Ocean City Boardwalk as your backdrop. 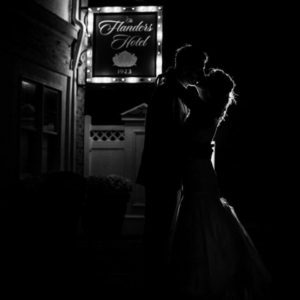 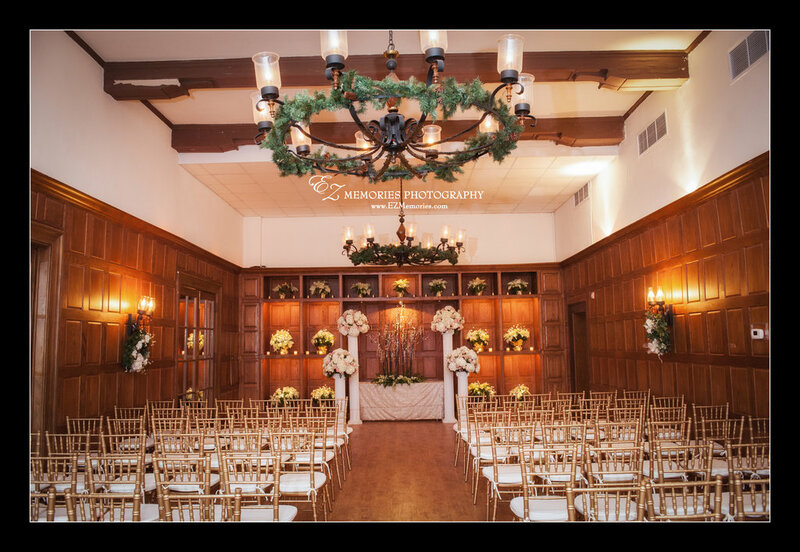 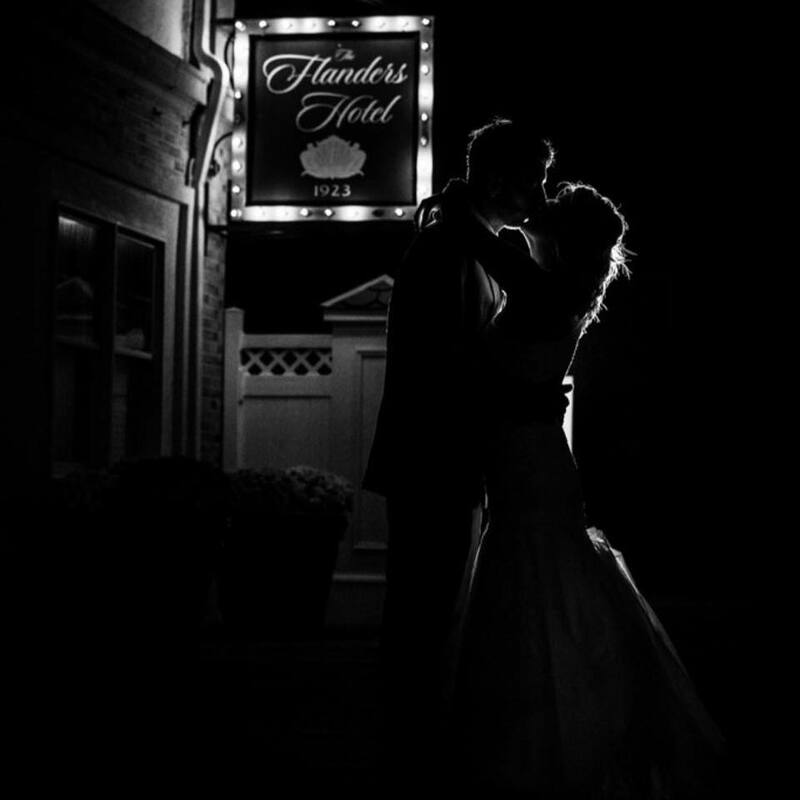 If you’re looking for a sophisticated New Jersey shore wedding venue, look no further than The Flanders Hotel. 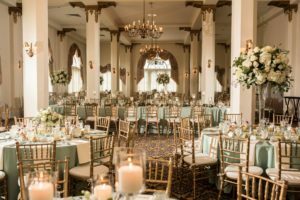 The ornate sophistication of our ballrooms is reminiscent of the grandeur of the early 1900s with all of the modern amenities of the present. 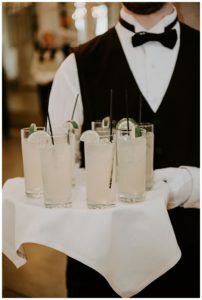 Your evening begins in our promenade where your guests will be greeted by our service staff with butler hors d’oeuvres, wine and special cocktails of your choosing. The eclectic furnishings, historic tapestries, magnificent fireplace, and baby grand piano create an atmosphere of opulence. 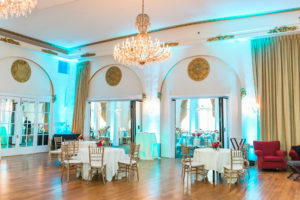 After the cocktail hour, your guests will be led down the Flanders Hall of Mirrors. 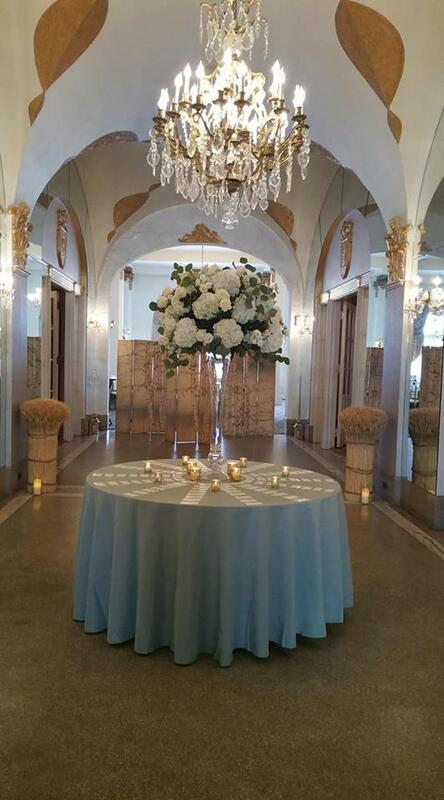 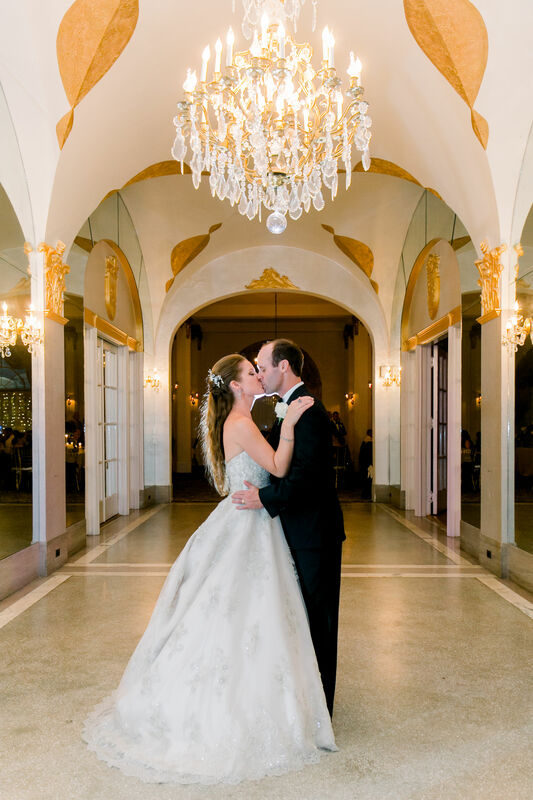 The Hall of Mirrors features textured vaulted ceilings, gold medallions, and crystal sconces. This elegant hallway surrounded by mirrors provides a grand entrance to our sophisticated ballrooms, unlike any other New Jersey shore wedding venue. 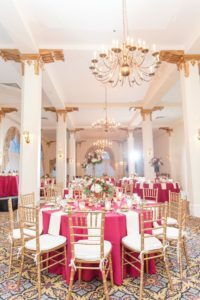 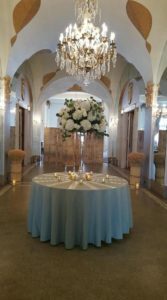 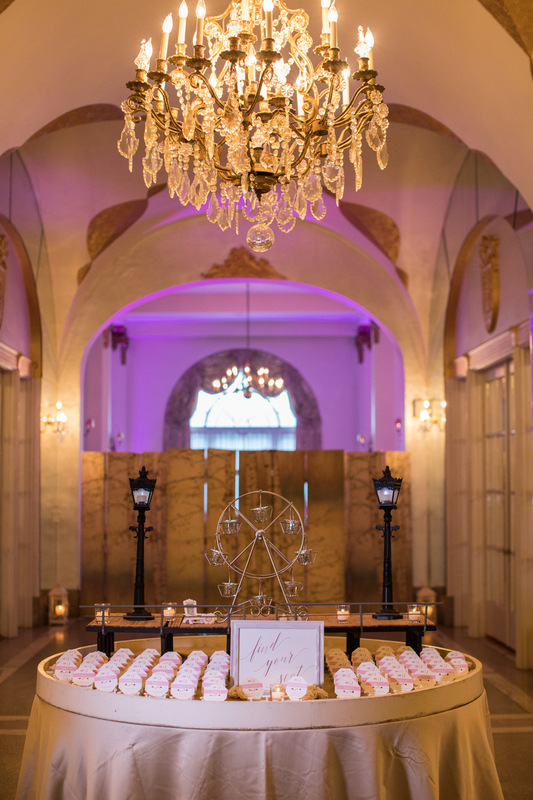 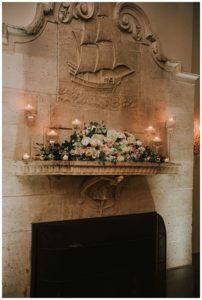 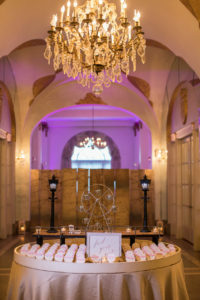 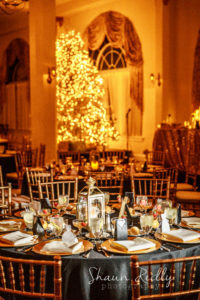 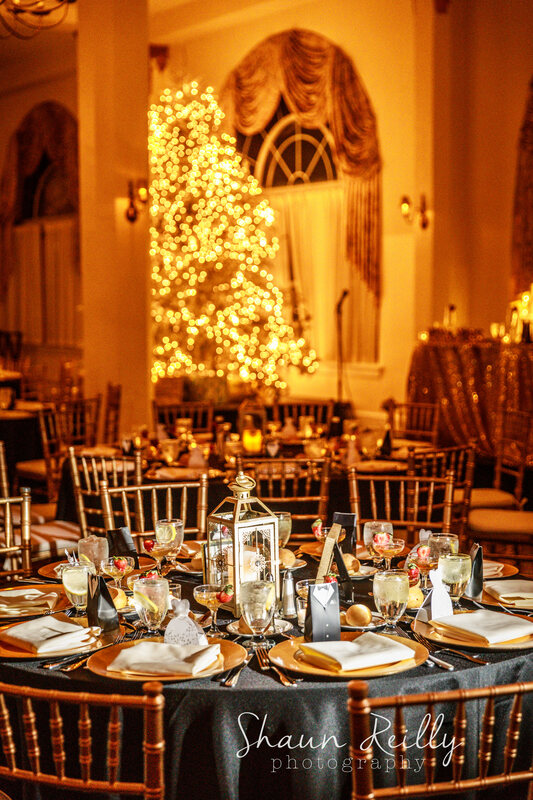 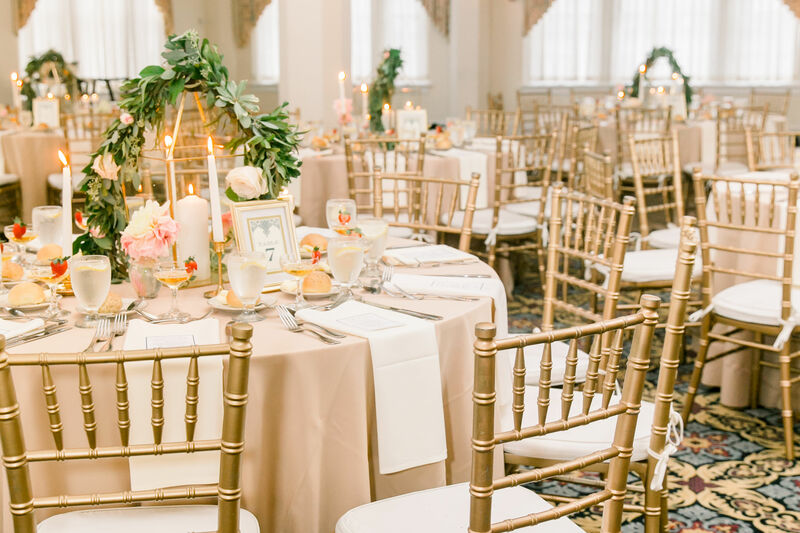 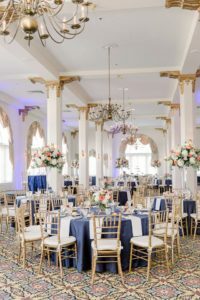 The Candle Ballroom, adorned with candle chandeliers and tea lamp sconces, boasts cathedral ceilings and grand columns accented in gold rosettes. 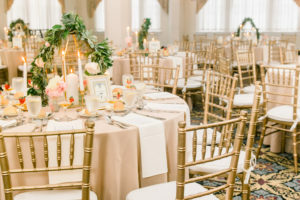 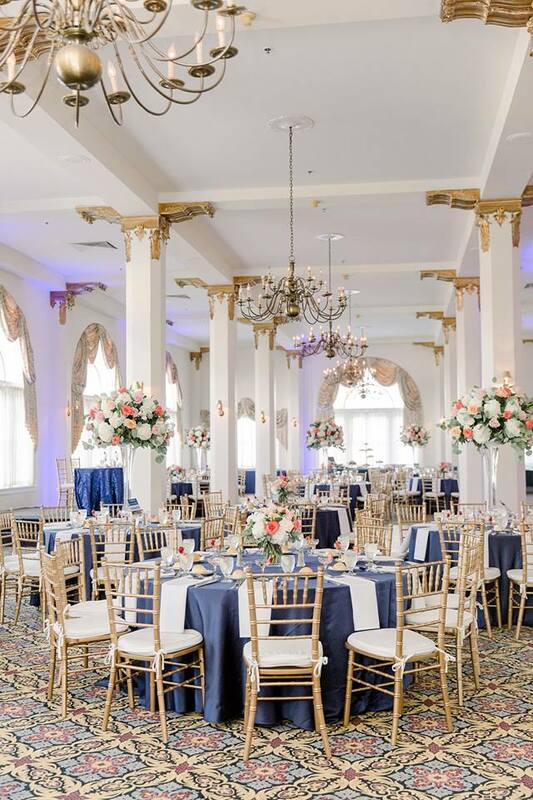 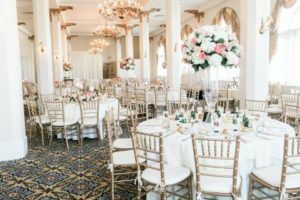 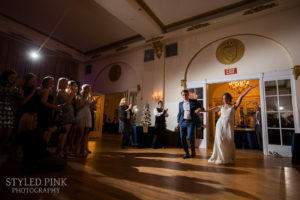 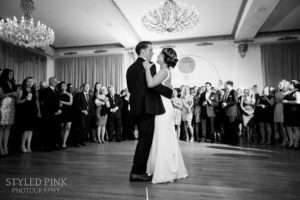 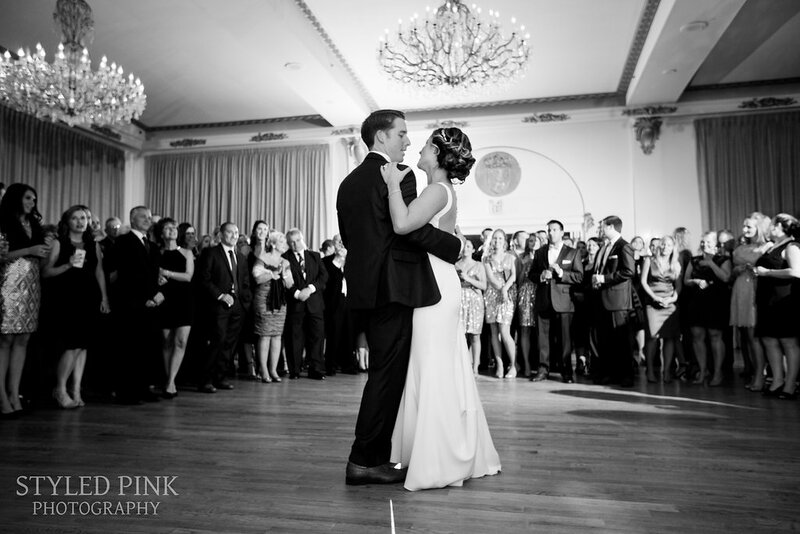 The Crystal Ballroom is defined by massive crystal chandeliers, gold trim vaulted ceilings, a lavish marble fireplace, and a 2800 square foot solid oak hardwood dance floor. The Flanders Hotel offers all the traditional Ocean City boardwalk fare including Johnsons Popcorn, Manco N Manco Pizza, fudge, salt water taffy, and funnel cake. 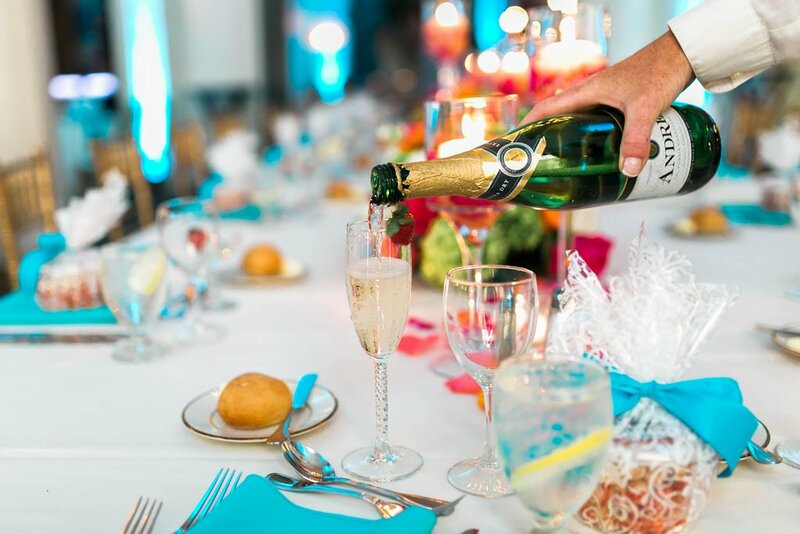 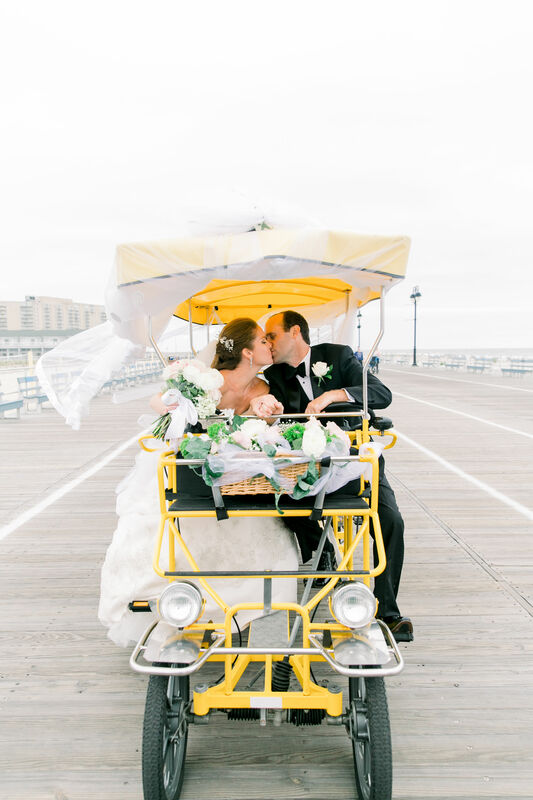 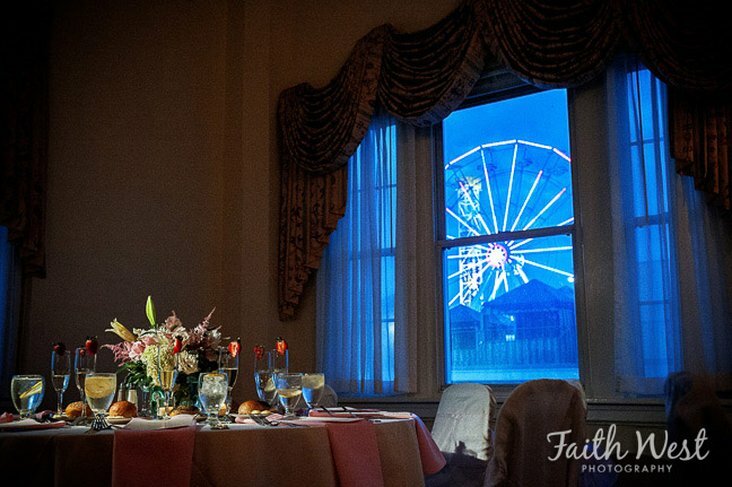 It’s the perfect way to fulfill your Ocean City wedding dream! Our local liquor vendors can assist you in creating a customized bar menu, giving you flexibility to select your favorite brands of liquor, wine and beer – all at liquor store bottle prices! 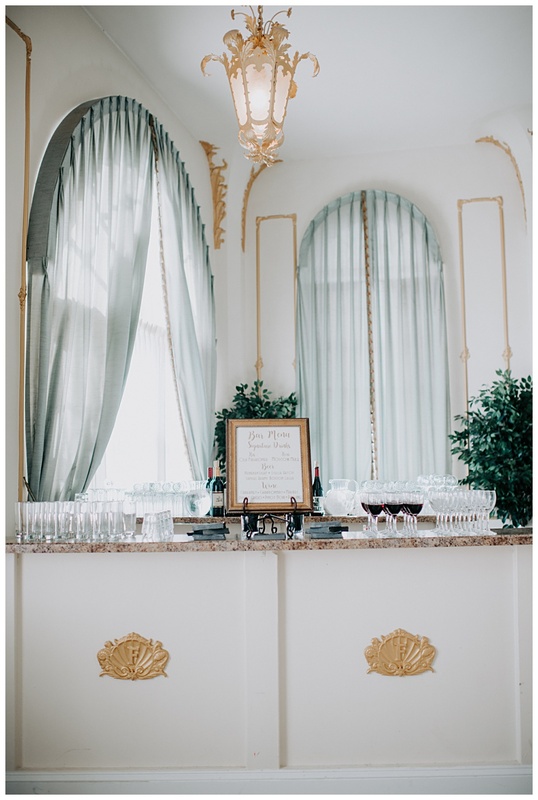 Costs for a typical wedding open bar at the Flanders average approximately $11.00 per person. Our wedding package includes, one bartender for every 75 guests and all non-alcoholic mixers. 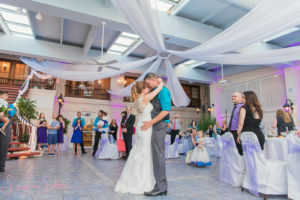 If you’re looking for a non-traditional, whimsical Ocean City wedding venue, the Garden Room of the Flanders offers the perfect atrium setting! 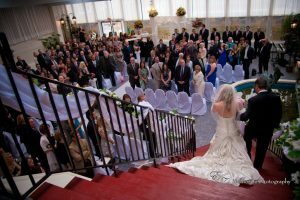 Three beautiful curving staircases, skylight ceilings, and lanterns are key features in this airy space. 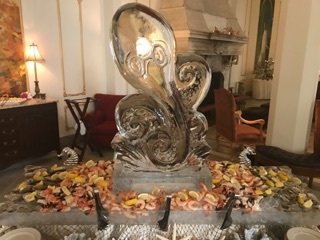 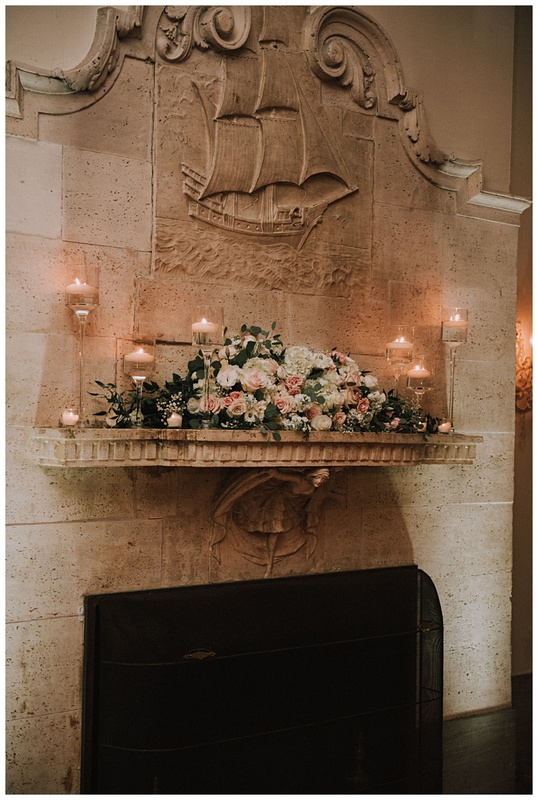 You will be introduced as the new Mr. and Mrs. as you ascend down our grand staircase and dance your first dance in front of our lovely dolphin fountain. 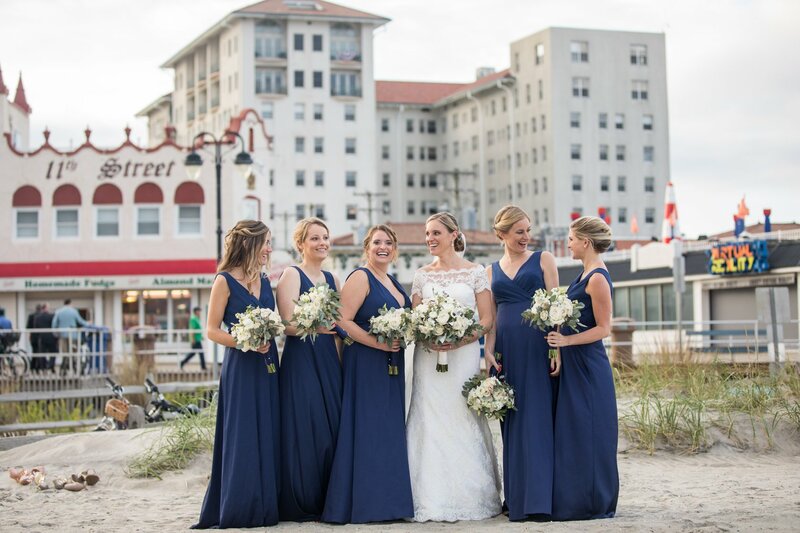 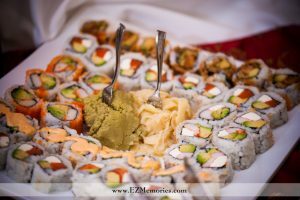 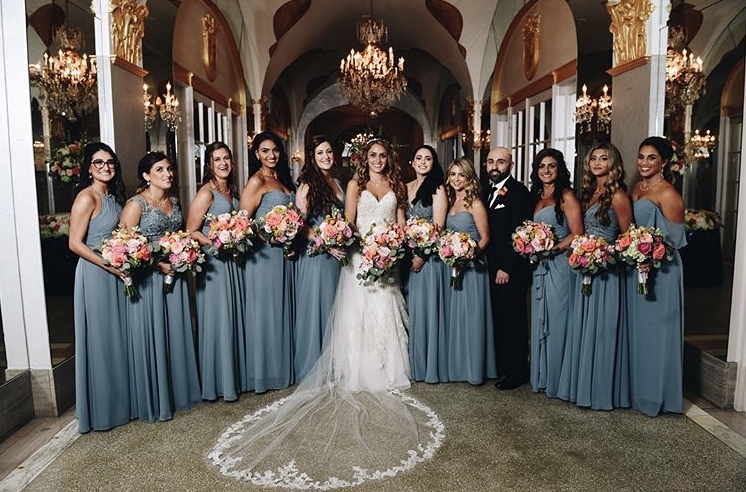 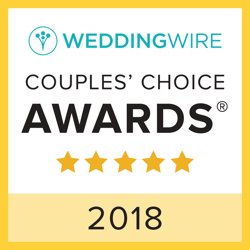 Our award-winning chef, certified wedding coordinator, and expertly trained staff are dedicated to assisting you in creating the New Jersey shore wedding you have always dreamed of. 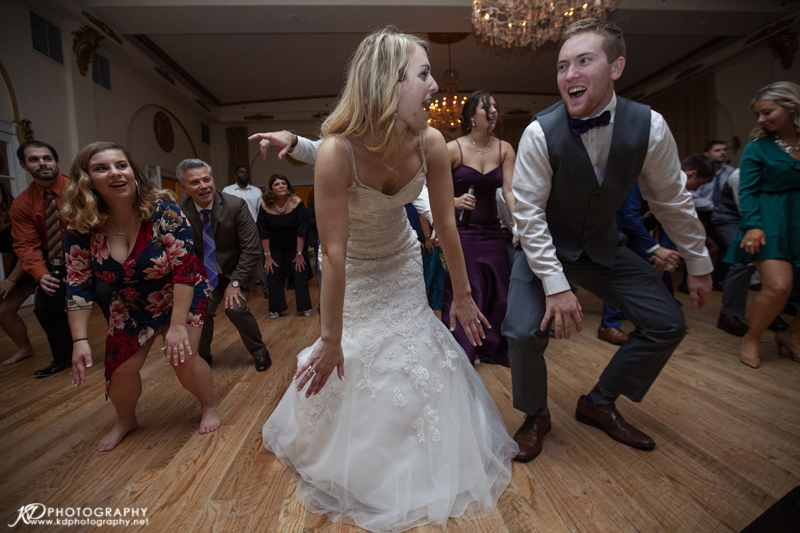 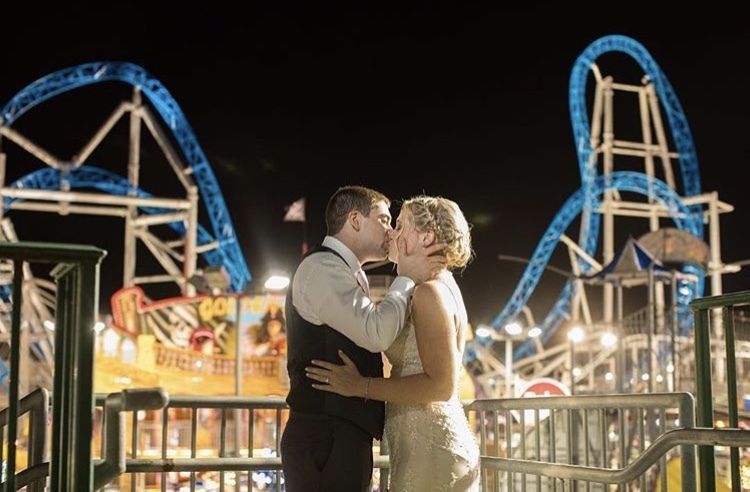 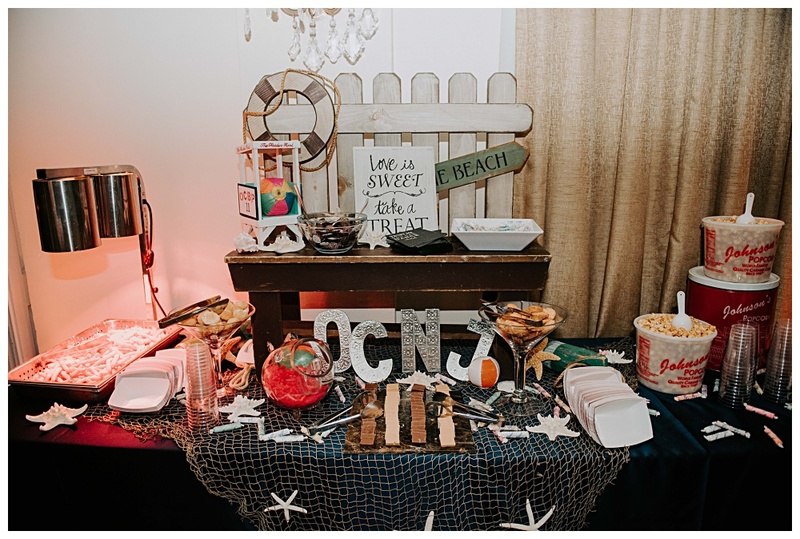 2019 Wedding Special: Book a 2019 wedding date and receive $10 off of our wedding package, a complimentary sixth hour, and Taste of the Boardwalk to include Manco & Manco Pizza, Johnson’s Popcorn, Fudge, Funnel Cake Fries and Salt Water Taffy. 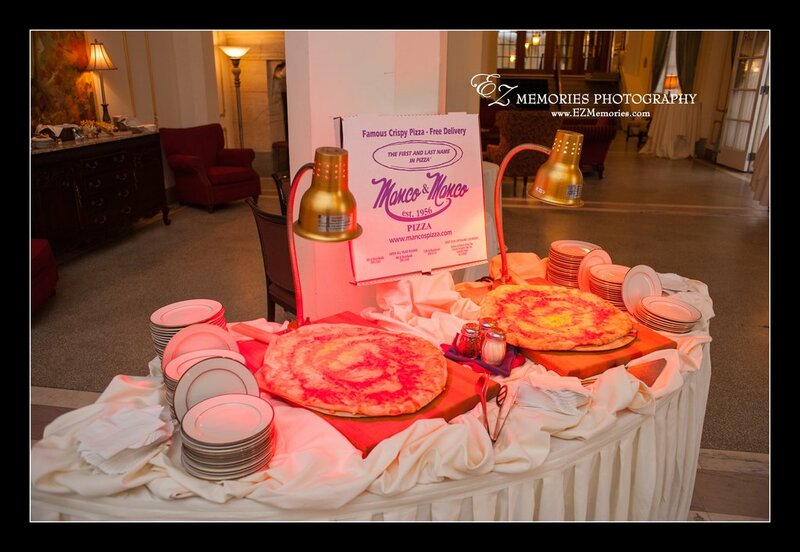 Or contact our catering office at (609) 399-1000 x7888.